Ever since Justin Bieber's homemade videos turned him into an international phenomenon, there's been a torrent of aspiring singers flooding the internet, waiting on the sidelines. But for every Greyson Chance — the 14-year-old American singer who's just released an album with a major label — who achieves that status, there's a Rebecca Black, also 14 and equally famous, who gained notoriety for her derided song Friday and is now threatening to release an album. Instant celebrityhood, it seems, is the reality of our times. Talent is an advantage, but not essential. 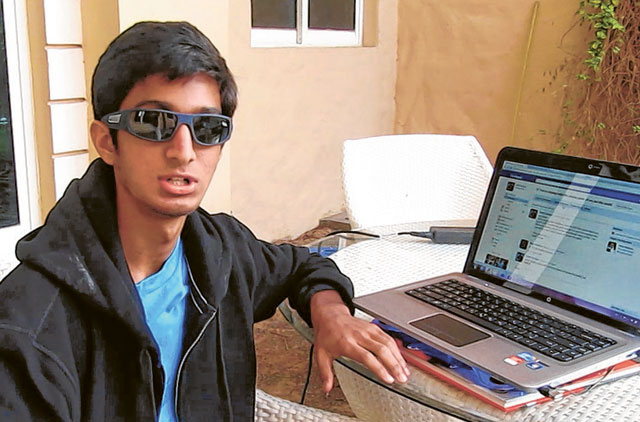 Now, it looks like Dubai has found its own viral star in the form of 16-year-old aspiring music producer Rohit Iyengar. Iyengar's recent music video, called The Malls of Dubai, is creating buzz on social media sites. In just two weeks, the three-minute video, which shows him rapping while walking around, well, malls in Dubai, has notched up an impressive 4,996 views on YouTube. "It's amazing the interest the video has received," Iyengar, who has his own channel on the website, tells tabloid! "I wasn't expecting this kind of reaction." In the song, the Raffles International School student raps: "I'm in Dubai, I'm going to the mall… there's so many to choose from I don't know where to go. You got big ones, small ones, all of them are awesome… there's so many to choose from I don't know where to go…"
But the reaction has not all been positive. The video has so far racked up more ‘dislikes' than ‘likes', some calling it "awful" and "a disgrace". "I just created a YouTube account to dislike this video," says one. "You are a disgrace to the society, seriously. You better sit down and think about what you uploaded. The humiliation you have brought on yourself," says another. "You are worse than Rebecca Black," adds another. 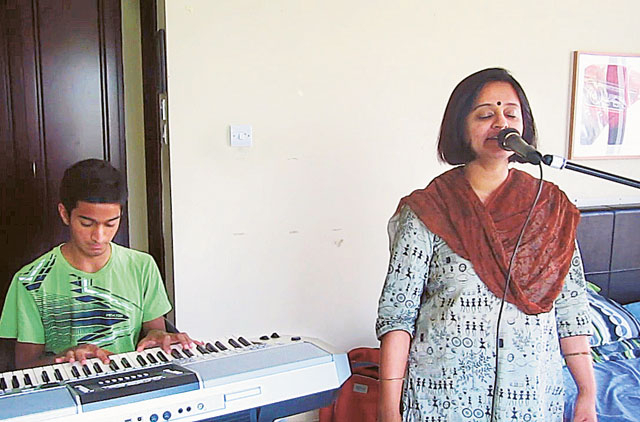 Iyengar, who says he has been playing music instruments since he was four, is unfazed by the negative reaction. "At first I got a bit defensive and deleted some of the comments I didn't like. But after some time, I just let it be. People on the internet feel they can say what they want and chances are they will never say things like that to you in real life," he says. "Now, I just think: ‘Let people say what they want'. I made something I thought was nice. When you put so much effort into something, you are proud of it. And I think I've done a pretty good job." He says the whole project took him about three months from conceptualising to recording, filming and editing. "Malls are a big part of our lives here and they are unlike anything else in the world. So I thought I'd make a song to capture that," he says of his inspiration. Iyengar plays guitar, piano, drums and percussion instruments. "I wouldn't consider myself a good singer," he says, adding he's thinking of a career in film producing or audio engineering: "I'm more of a producer." Mum Sandhya Prakash, his biggest supporter and cameraperson for The Malls of Dubai video, says she is not worried about the effects exposing her teenage son to unrestrained online comments will have. "I have not read the comments but I know if you are ready to put yourself out there, you have to be open to all kinds of feedback," she says. "We've always given him a free hand and I know he's really passionate about what he does." Prakash, the business director of an IT firm, says she thinks the video is "colourful". "As long as it's not a passing fad, we will support him till the end," she says. tabloid! 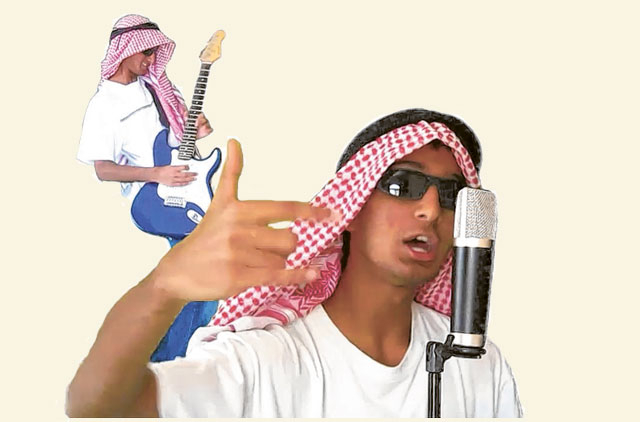 sent the video to Emirati rapping phenomenon Desert Heat for an opinion. Illmyiah, one half of the rap duo, responded: "The realest rapper I heard so far!!! He told the truth from beginning to end. We need a bangra remix ASAP!" Iyengar, who covers controversial singer Black in one of his videos, finds the reference to her interesting. "It's strange that they compare me to her because Rebecca got famous because of hate," he says. "Her character inspires me because despite all the hate, she released another single and now she has a record deal and producers want her." He hopes his video will take him somewhere. "Maybe it could be used for tourism in Dubai or something like that. I think there is potential to take it further."